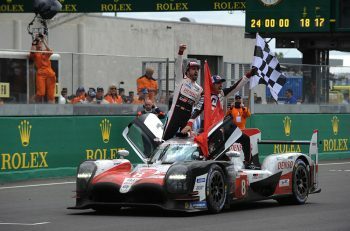 Round five of the European Le Mans Series in the current era would normally be the season finale, but with the extension of the 2016 calendar it sees Spa added as an additional rung on the ELMS ladder. The entry list for 4 Hours of Spa-Francorchamps, to be held on September 25, has been revealed with a total of 41 cars on the list. The LMP2 category will feature thirteen cars at Spa, one car more than in the Le Castellet with a potentially significant addition to the grid as Team WRT field a currently one-off entry with the ex So24! 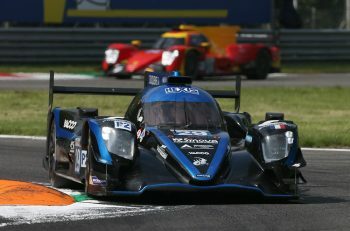 Ligier Judd for ex Manor and G-Drive Oreca LMP2 driver (and current WRT GT driver) Will Stevens plus racing brothers Laurens and Dries Vanthoor, older bro Laurens adding a Ligier Judd outing to a couple of Le Mans runs in Ligier Hondas, with Oak Racing and Michael Shank Racing. The car is entered as #47 – but will we see WRT back for more? Among the other cars, a few driver line-ups will be modified. In the championship-leading car #46, Thiriet By TDS Racing Oreca 05, Ryo Hirakawa will return after being replaced in Le Castellet by Mike Conway. Gary Findlay will also be returning to Spa with the #48 Murphy Prototype Oreca 03R alongside Brazilian Renault Sport Trophy driver Bruno Bonifacio and Sean Doyle. Just a few days after finishing the 6 Hours of CoTA, Vitaly Petrov will be replacing Julian Leal on SMP Racing #32. Finally, Michael Munneman will take over Gianluca Roda behind the wheel of the Algarve Pro Ligier JSP2 #25. It should be the last time we see this JSP2 competing in the ELMS this season, as it will be heading to Asia this autumn alongside a second Ligier for the team. In the LMP3 category, all twenty cars competing at Le Castellet will also be at Spa. It will therefore be a 100% Ligier Nissan grid once again and that counts as a disappointment for fans of variety in the chassis department – the Ave Riley is now confirmed as delayed until 2017 as the designers and builders work to unlock more performance from the reportedly already quick AR-2 in time for the December deadline set by Ave and Riley for full homologation. For such a large class the level of driver squad stability in 2016’s LMP3 line-up has been remarkable. Two driver line-up changes will occur in this category. The most noticeable is undoubtedly concerning the Oak Racing Ligier JSP3 #4, with Peugeot-Citroen’s CEO Carlos Tavares replacing Jean-Marc Merlin. 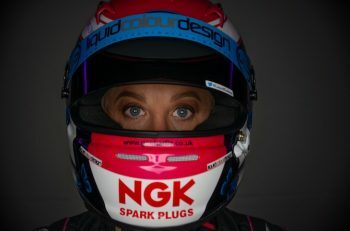 Tavares has established several ties with the world of endurance racing over the years, in particular by initiating the return of Alpine in 2013 while serving as senior executive of Renault. He has since raced prototypes in Classic Endurance Racing and GTs in the 24 Hour Series. The three other line-up changes include British GT Championship driver Alisdair McCaig, who will replace Ross Warburton in the #15 RLR MSport Ligier. In LM GTE, the same eight cars seen at Le Castellet will be at Spa. Only two driver changes will occur. Christina Nielsen and Matteo Cairolo will be returning in the Formula Racing Ferrari F458 #60 and the Proton Competition Porsche 911 RSR 991 #88 respectively.